The NBA this year might see its most exciting competition with the likes of LeBron James joining the Lakers and the ‘Greek Freak’ Giannis Antetokounmpo (yeah, try saying that fast without a hiccup) setting the court alight with some astounding performances this past season. 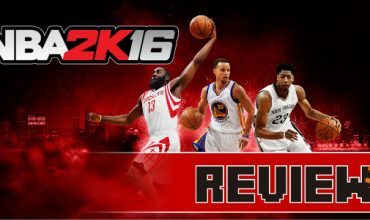 NBA 2K18 offered a performance to match with refined mechanics and spectacular visuals although hampered by microtransaction mayhem. It seems that nothing has changed in the money grab side of things as they are still present in the game, but as before you don’t have to entertain it. 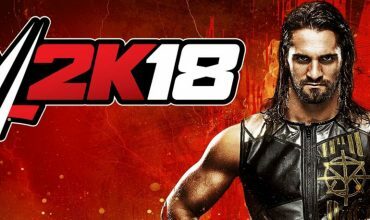 It’s sad that they haven’t done much in this regard and feels like fans outcries are just being ignored, but what they did improve on was the gameplay, and how sweet it has become. 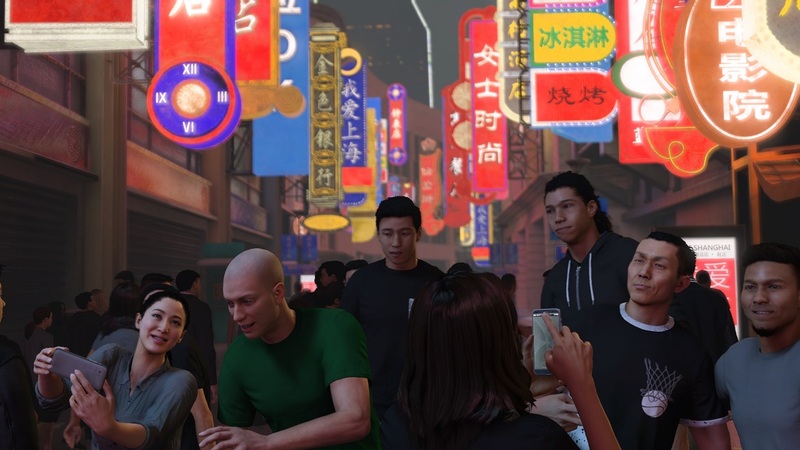 NBA 2K19 decided that the MyCareer mode needed more emotion to form a connection with the character you play. The person you take control of with the unfortunate name of A.I. is a self-proclaimed future great who struggles to grasp the idea of being part of something bigger than himself. In his journey, we witness the intensity of the annual draft day where future prospects sit and wait for their names to be called by the NBA teams. Fate deals A.I. a hard hand which leads to the player seeking a canvas outside of the US where he can polish his brush stroke. These new connections make for rollercoaster situations you’ve never encountered from which you will learn and adapt to. In The Way Back, you end up in the Chinese league with the obvious issues being language barriers and having to adapt to new cultures, but the same can’t be said for what happens on the court. The game is no different and it is in this that you start observing your teams strengths and weaknesses and slowly becoming the puzzle piece they so need. A.I.’s on and off court battle with his own ego makes it hard for you to sympathize with such a self-absorbed character, but it brings about many of the NPCs giving you advice as to how you can better your overall game and outlook. The Chinese league isn’t a pushover either as they have their own selection of court kings and defence terrorists. 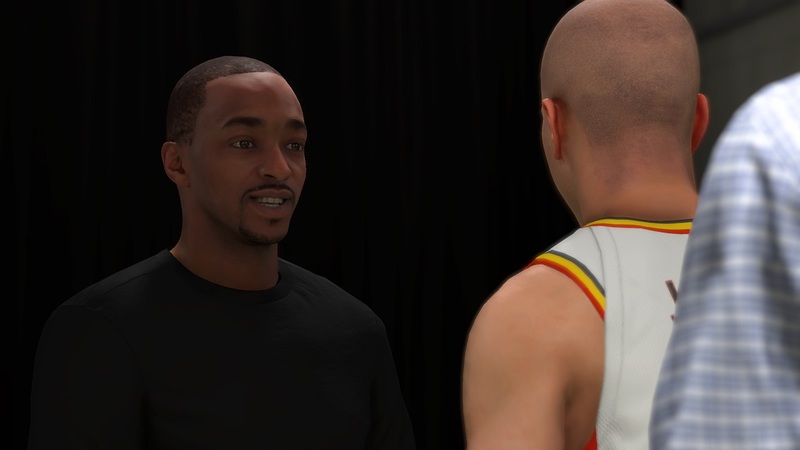 After a shaky start and grinding through the first season you’re approached by a well known behind the scenes talent scout played by Anthony Mackie, one of the many Hollywood names to grace NBA 2K19, who helps to guide you on your way back stateside. It’s not the return that you wanted, but you at least make it back to home soil with an opportunity to strut your stuff in the G-League for a team situated in Fort Wayne. 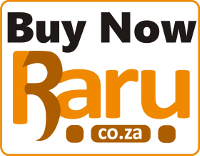 Here you uncover new rivalries, make new friends, learn from a veteran and develop a relationship with one of the locals. These new connections make for rollercoaster situations you’ve never encountered from which you will learn and adapt to. The road is hard and unforgiving and every mistake will be punished. Every game has a set of instructions that may appear easy up until you’re laced up and on the court. Getting high assist numbers and even a triple double tests your abilities to no end and in turn, forces you to adapt to the new tactics in every game, and none of them feels identical. The life lessons and pitfalls start to take their toll and you’re moulded into a more refined player with the team as a priority over your own personal glory. 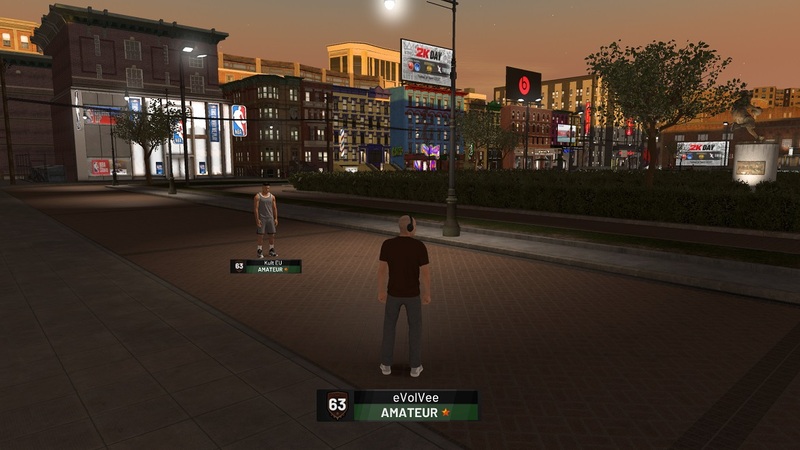 Once you’ve made your way back to the NBA top flight will you be introduced to The Neighbourhood, your crib, all the swag and the facilities you’ll frequent on your road to 99. This is where you write your own story. 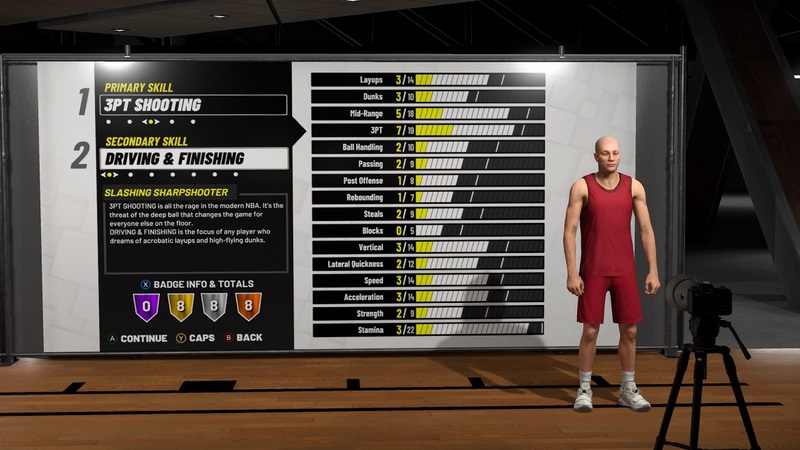 During the course of the story mode you can up your stats by spending VC, the currency you obtain by means of stats per game like points, blocks, assists and rebounds. The higher the numbers, the more VC you’ll earn. Getting B+ ratings won’t always be easy and every ignored pass and missed opportunity will cost you. In fact, some games will make it near impossible to break out of a D rank simply because the opposition is that good. Punishment for every mistake is harsh and it will make you think twice about every move you make on the court. This is a great way to hone your play style and ensuring that you compliment your team’s strengths. Luckily the gameplay is smooth with the exception of the AI sometimes looking like they’ve forgotten how to move around on the court. Passing is quick and accurate with lifelike animations creating a natural flow for the game. There are instances where the AI will run into each other and perform some awkward animations, but it doesn’t impact the game that much. 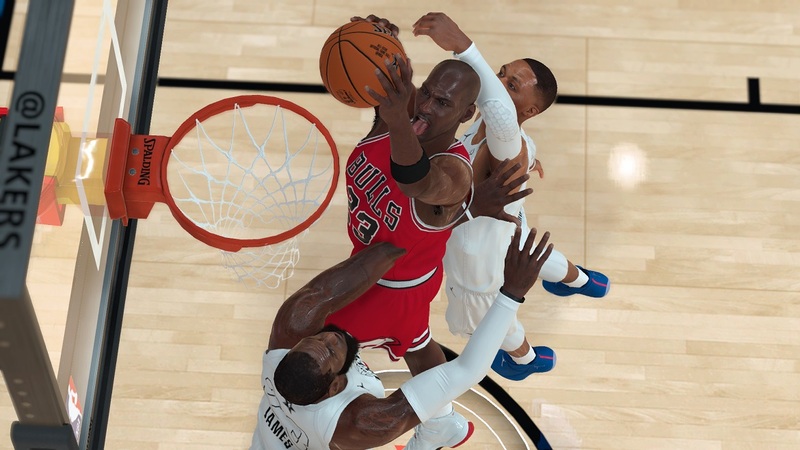 Player likeness is on point for the more prestigious players with signature facial animations such as Jordan’s stuck out tongue while flying towards the hoop. Others seem to get the generic treatment with character builds that look too similar to that of LeBron or Irving. Everything before and after tip-off is still a marvel to behold with pre- and post game analysis featuring the Big Diesel (Shaq O’Neal), Ernie Johnson and Kenny Smith back to entertain and make the flow from menu to game seamless, adding a layer of authenticity unrivaled by any other sports game with a bangin’ soundtrack to boot. Visual Concepts have upped the ability to defend making it a bit easier to contest a shot or do a quick steal when positioned well. The button commands are simple and straightforward with the more advanced moves needing some time in the practice arena. Luckily you can brush up on the controls in the games training mode or go at it in the Play Now arena against the CPU and fumble your way to perfection. The Neighbourhood offers many forms of play where you can take part in time-limited dodgeball games, 1-on-1 tournaments, trivia events and other activities with profitable outcomes as they offer big VC payouts. You can also boost your abilities per game by visiting the Gatorade store to perform at your peak. Like the previous instalment, there’s no limit to the swag you can collect and run around the hood with the latest kicks. 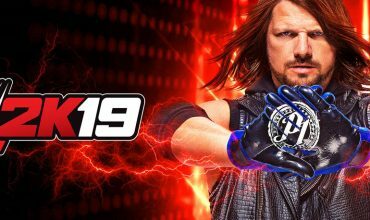 Ante Up and the Pro-Am circuits give you a taste of the pro online arena where you get put into a team and take on other players. There’s also the Jordan Rec Centre offering a similar experience but with fewer rewards. The online gameplay does suffer from a fair bit of delay in button press to what happens on screen, but it seems to happen for everyone which levels the playing field. It’s not easy playing without a headset and comms though, so best invite other players to a party for the best team based experience. If you’ve had your fill with writing your own story as a player, you can always decide to build your team of high profile ballers in the MyLeague mode where you can draft players and even change the colour of existing kits to your liking. Unlike its microtransaction heavy counterparts, building a team that can prove formidable isn’t based on how much you spend. This makes for more enjoyable and interesting matchups when you do decide to take the fight online. The same applies to MyGM where you take full control of an existing franchise and have to deal with the intricacies of the business. If you’d rather take it to the street, the Blacktop is more your jam. Here you can participate in one-on-one half court or five-on-five full court games playing as the biggest names in the biz in a street basketball setting. The only difference here is that it’s not in a polished pine arena and cameras all around. 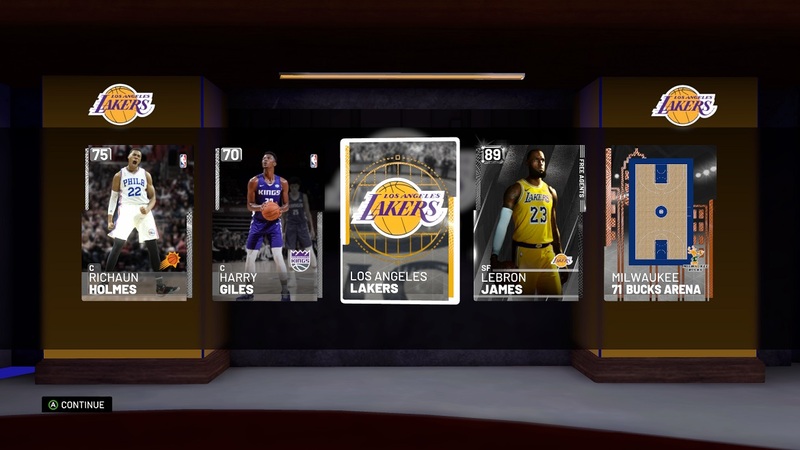 The game plays similar to all the other modes, just the added perk of playing as Jordan, Barkley or LeBron. 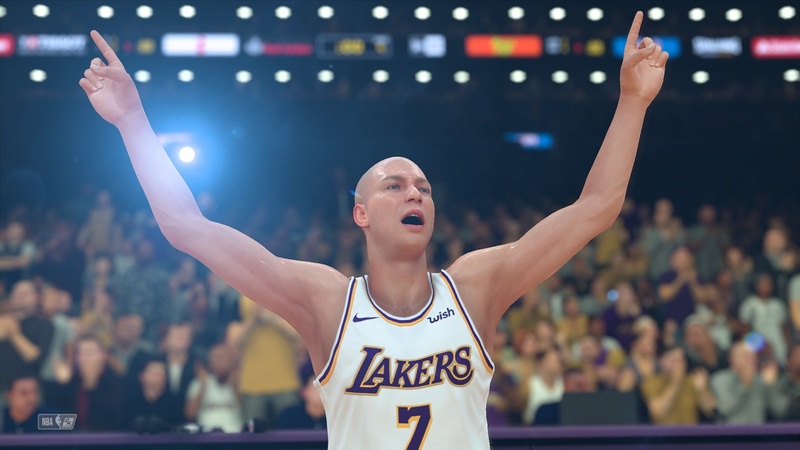 NBA 2K19 delivers another stellar basketball game with all the bells and whistles wrapped in an ever impressive presentation with visual upgrades and animations so good that it makes you feel like you’re sitting in the stands watching it live. 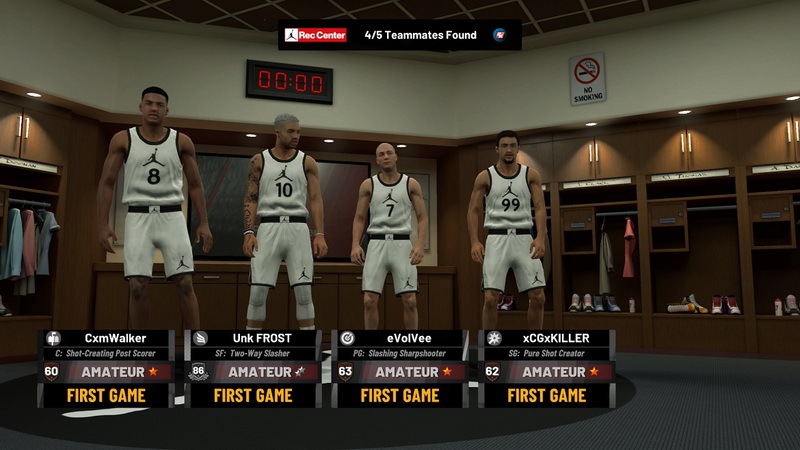 Each game mode offers something different to get into and MyCareer received a welcome rewrite and new vision that has set it apart from every entry before it. The aspect of managing a franchise still brings with it the feeling of accomplishment and teaches the many facets that surround the game. The only way you can leave a game frustrated is if you made too many bad calls and not read the game before making your next move, or when you’re faced with a player online that emptied their wallet for higher stats or to build their dream team. Microtransaction bull aside, if you’re willing to put in the time and grind you’re way to 99, every dribble, lay-up, dunk and three-pointer will bring you satisfaction with the games well-refined mechanics and gameplay. 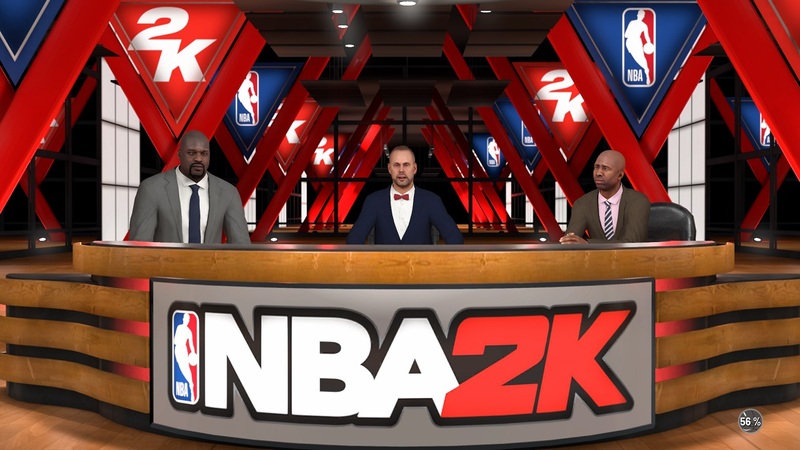 Basketball has seen many legends etch their name in the Hall of Fame since the very beginning and NBA 2K19 is a masterstroke in showcasing the games illustrious career by offering tight controls, stunning visuals and animations in between the best commentary and visual presentations in the sports game industry. It's unfortunately still hampered with the "pay to gain" mechanic that might put some people off, but the gameplay makes the grind worth it.